Midfielder Mark Carrington played 25 minutes for Wrexham's Under-21 side in a friendly against Liverpool as he continued his recovery from a groin injury. 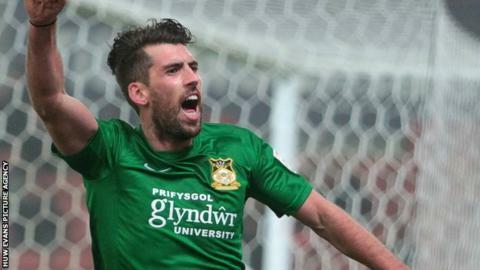 Carrington, 28, has not featured in Wrexham's opening four matches of the season. Manager Gary Mills hopes the former Bury player will be available for visit of Halifax on 29 August. "That will put him back full-time training with the rest of the lads and in contention for the following weekend."